For the first time in history, the S&P 500 index, which tracks large cap US stocks, finished every single month in 2017 with positive returns. For the year it finished with a return of close to 22%, yet still wasn't even the top performing asset class for the year! Emerging market international stocks returned a whopping 37% and developed market international stocks returned about 25%. There is no shortage of positive return stories for 2017, as small cap stocks finished up almost 15% and REIT's were up almost 9%. If you are looking for negative returns, you might think bonds would be the place to find them. The Federal Reserve raised the benchmark interest rate by .25% three times in 2017. Since bond prices decrease as rates rise, you would think this would have contributed to poor performance in the bond market. However, the strong economy has allowed the Federal Reserve to be very gradual with these rate increases and that has helped soften the blow of higher rates on bond returns. Most US intermediate term bond indices were up 3-4% for the year and global bond indices turned in even stronger performance. The only asset classes that showed negative returns were oil and gas stocks and MLP's. Some areas of the commodities markets also turned in negative returns on the year, but overall the Bloomberg Commodity Index was up close to 2%. As we remarked in our third quarter letter, volatility was also incredibly low throughout 2017. By many measures it might have been the lowest we've ever seen. This chart from Dana Lyons takes a look at the Dow Jones Industrial average going back over 100 years to 1915. It calculates the total cumulative loss on all down days throughout each year for the index. The average cumulative loss over these 100+ years is 90% per year and prior to this year the record for the smallest cumulative loss was 31%. 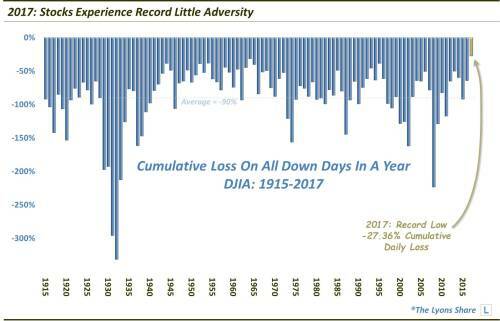 In 2017 we broke that record with a cumulative loss on all down days of just 27%! This is the time of year when you see countless predictions for 2018 market performance, despite plenty of evidence proving that nobody can accurately make such predictions. We will not be offering any of our own market predictions and we advise you not to spend too much time worrying about anyone else’s. As a reminder of how difficult this is you only need to look back at the beginning of 2017 and some of the predictions that were released for last year. This chart from Fortune shows what various investment banks predicted for the S&P 500 in 2017. For reference, the S&P 500 began 2017 at 2,277 and finished the year at 2,673 for a price return of about 17%. On average, the analysts polled predicted an ending value of 2,337, which would have represented a return of just under 3%. Not a single analyst predicted an ending value above 2,500. We understand it's fun to try to guess what might happen over the next year. Making predictions can be entertaining, but they should not serve as a guide to your investment portfolio. So yes, go ahead and take a guess at what might happen in the markets next year. Write it down somewhere and pull it out on December 31 to see how well you did. But don't make any changes to your investment portfolio because of your predictions. How you will react to different potential market outcomes? If stocks drop 30% next year, will you panic? If they go up another 20% will you wish you had more invested? What are your long-term financial goals and do you have a plan in place to reach them? How much did you spend in 2017 and are there areas you could cut back in 2018? How much did you save in 2017 and what is your savings goal for 2018? Does your target asset allocation still make sense for you given your current financial situation? 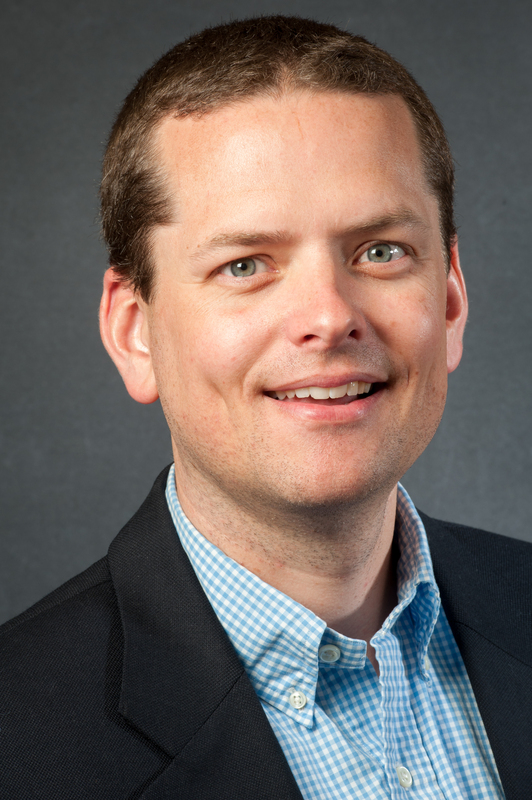 Do you need to rebalance the portfolio to get back in line with your target asset allocation? How will the tax reform bill impact your tax situation and should you do anything to prepare for it? Start off the new year on the right foot by focusing on those things you can control instead of things that are out of your control. There’s nothing you can do that will impact the performance of the markets, but each of the items listed above will improve your financial situation and are entirely within your control. Stay focused on the right things and 2018 will be a positive year for you, regardless of what happens in the markets!